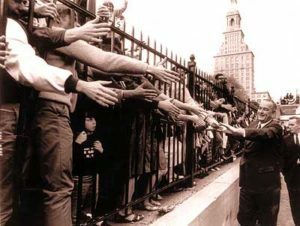 President Johnson declared war on poverty following his election in 1964, and federal funds soon flowed into urban renewal and anti-poverty programs across the state. Spurred by civil rights struggles in the South, federal courts began enforcing the Constitutional principle of “one man-one vote” or equal representation. 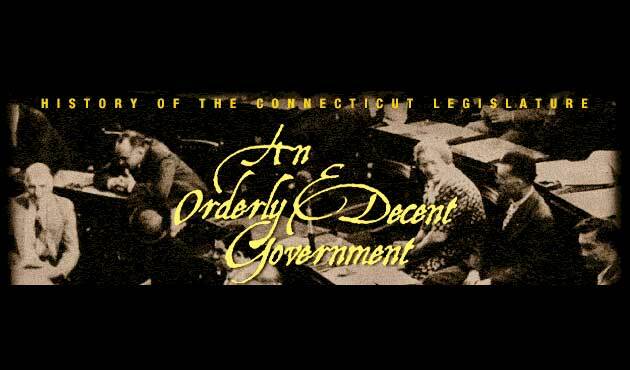 Representing reformers long dissatisfied with Connecticut’s unbalanced and often paralyzed political process, the League of Women Voters sued the state in federal court. The court found Connecticut’s system grossly unfair and ordered the legislature to reapportion the House and Senate. Under court order, legislative elections were cancelled until Connecticut recast its Constitution. Republicans and Democrats each sent 42 delegates to the Convention, which was chaired by former governor and Supreme Court Justice Raymond Baldwin. The party chairmen played a crucial role behind the scenes at the Convention. Placing statesmanship above partisan competition, they met frequently to develop the agreements that ensured success and joined forces to support the campaign for ratification by the voters. 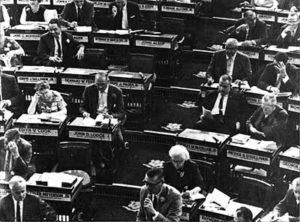 Deep cuts in defense spending after the end of the Cold War sent Connecticut’s economy into recession and challenged the General Assembly on several fronts. Demands for increased social services for laid-off workers and others affected by the economic hard times collided with decreased state revenues. In 1989, lawyers for an interracial group of urban and suburban children brought suit against the state. In Sheff v. O’Neill, they argued that racial segregation in the Hartford region violated their constitutional guarantee of an equal education. The courts agreed and ordered the General Assembly to create plans for achieving equal educational opportunity.